River Listening is an interdisciplinary research project exploring the cultural and biological diversity of global river systems through sound. The project examines the creative possibilities of accessible and noninvasive recording technologies to monitor river health and engage local communities in the conservation of global river systems. River Listening combines emerging fields of science with acoustic ecology, creativity and digital technology to further the understanding of aquatic biodiversity and inspire action at a time when the conservation and management of freshwater ecosystems is a critical priority. River Listening installations, experiments and virtual reality will feature at the 2017 World Science Festival Brisbane in March as part of 100 Ways to Listen at the Queensland Conservatorium. 100 Ways to Listen is a new project exploring the art and science of sound and documenting a decade of innovative music-making in Queensland. 100 Ways to Listen features performances, interactive installations, immersive sonic environments and augmented reality sound walks. The events for World Science Festival Brisbane are presented by Griffith University as part of Street Science, March 24 – 26, 2017. 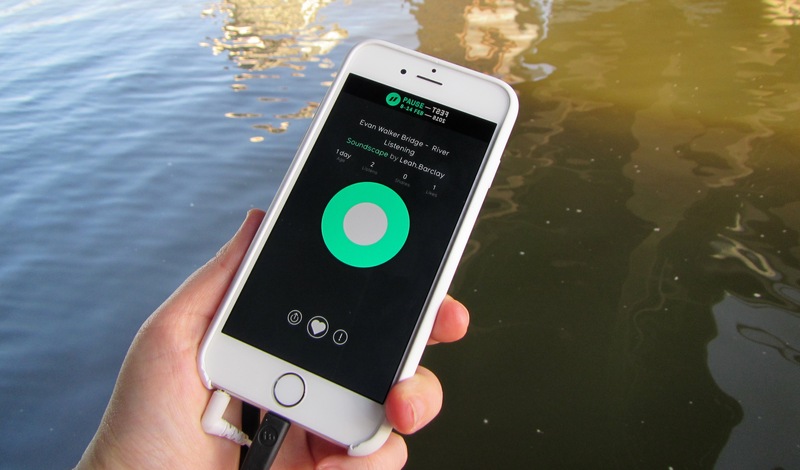 River Listening was developed through a Synapse Residency awarded to Dr Leah Barclay and The Australian Rivers Institute in 2014. The Synapse program is a joint initiative of the Australia Council for the Arts and the Australian Network for Art and Technology, which supports research collaborations between leading artists and scientists in Australia. 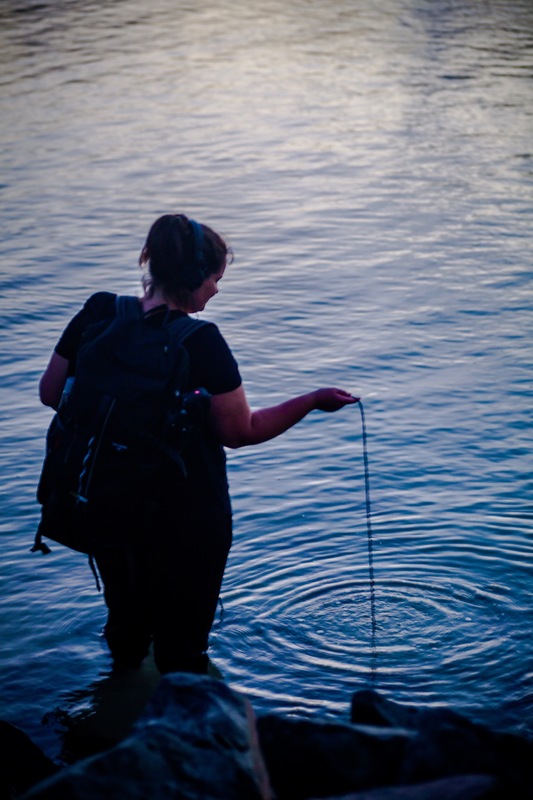 The first phase of River Listening was designed to explore the artistic and scientific possibilities of hydrophone (underwater) recording and inspire community engagement through interactive workshops, recording expeditions and installations designed to draw attention to the sounds beneath the surface of the river. Griffith University will bring its own form of colour and energy to the Riverfire weekend, as the curtain comes down on the 2016 Brisbane Festival. A series of digital installations will celebrate the senses during the weekend and after. ‘Heart and Breath’ will light up the walls of the Art Gallery and Webb Centre at South Bank on Saturday night, while imagined sounds from the world beneath the Brisbane River will be accessible through the River Listening augmented reality sound installation. The installations are hosted by Griffith University Red Zone, which provides exciting interactive learning experiences through hands-on technology and exploring innovative research in science, health, business and the arts. River Listening is an augmented reality sound installation reimagining the world beneath the Brisbane River in sound. 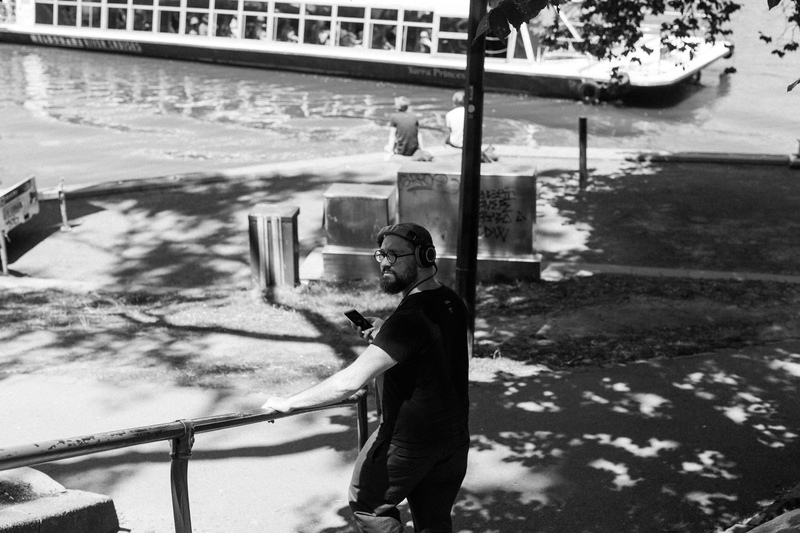 The installation can be experienced by walking along the river with a mobile device and triggering geo-located soundscapes throughout South Bank. 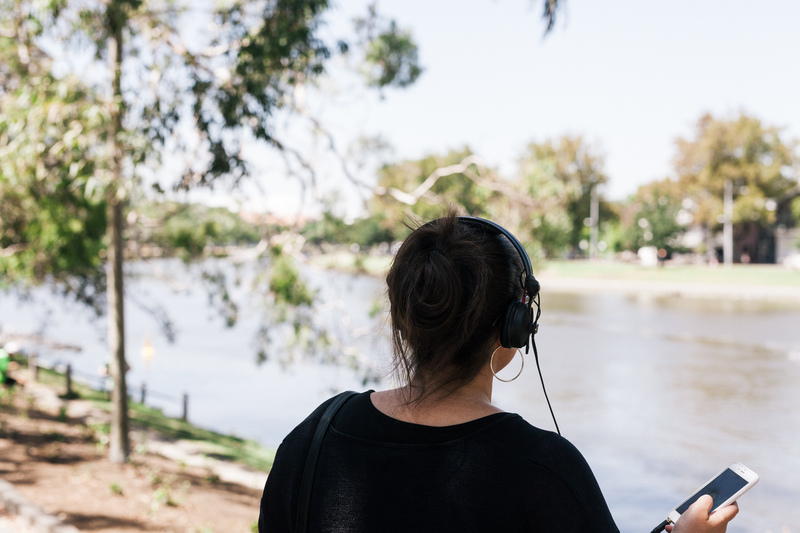 These geo-located sounds are layered with hydrophone (underwater) recordings and creative responses to the Brisbane River that connect to the soundscapes of river systems across the world. This installation is part of an interdisciplinary project exploring the art and science of listening to rivers and the creative possibilities of aquatic bioacoustics. River Listening explores rivers as the lifeblood of communities and the potential for new approaches in the conservation of global river systems. 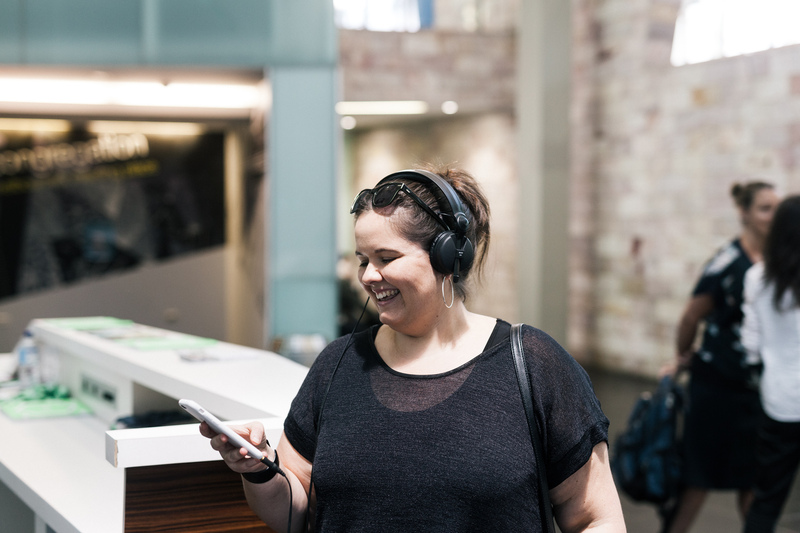 To experience River Listening download the free app Recho and your phone will act as a sonic compass guiding you throughout South Bank. New sounds will be added and adapted throughout Riverfire meaning every person will have a different listening experience. Use the hashtags #RiverListening, #griffithredzone and #beremarkable on social media to share your experiences. The finalists for the 2016 Art Music Awards have been announced. The yearly Art Music Awards are presented by the Australasian Performing Right Association (APRA) and the Australian Music Centre to recognise achievement in the composition, performance, education and presentation of Australian music. From jazz compositions and large-scale symphonic pieces to vocal, chamber and instrumental works and experimental projects, the list of finalists in 11 Award categories reflects the diversity and the high quality of contemporary art music written, composed and performed in 2015. Leah Barclay’s WIRA River Listening project created on the Noosa River for Floating Land 2015 has been nominated for the Award for Excellence in Experimental Music. This project explored rivers as the lifeblood of communities and reimagined the world beneath the surface of the Noosa River. This project draws on ten years of experimental music collaborations with river systems across the world that all began in Noosa and was the first major creative outcome from Leah Barclay’s Synapse Residency supported by the Australian Network for Art and Technology. WIRA was experienced by walking along the river with a smart phone and listening to content that was geotagged from Noosa Regional Gallery to the river mouth. As you walk along the riverbank, the sounds of the Noosa River system are layered with Leah Barclay’s compositions inspired by Noosa over the last decade. The soundscapes of WIRA explored the value of sound and technology in contributing towards environmental awareness and engagement. 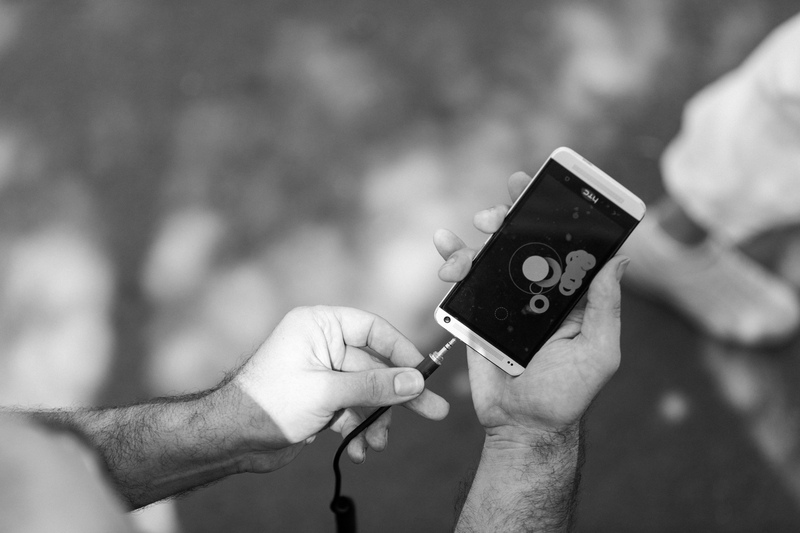 The process of creating this installation explored a new model for the dissemination of experimental music through accessible mobile applications and community engagement. Since launching in Noosa, the River Listening installation has toured to New York for Climate Week 2015, Federation Square in Melbourne, the inaugural World Science Festival in Australia and Paris for COP21, considered the most important climate meeting of our time. The installation continues to expand across the world yet remains connected to Noosa. ‘In late 2004, I composed my first piece inspired by the Noosa River. This was the beginning of a decade of creative work that explores the value of sound, digital technology and community engagement in environmental awareness. I have been fortunate to work with rivers across the globe and my artist practice has been very influenced by my involvement in Floating Land and working in Noosa. While many consider the mobile technologies I am using in WIRA key factors in our disconnection to the environment, my current work explores the possibilities for repurposing these technologies to reconnect us to the environment and facilitate collaborations that showcase ecological systems through accessible creative technology. WIRA allows you to hear sounds you wouldn’t usually think about and the project is part of a large initiative exploring the art and science of listening to rivers’ said Leah. ‘The people included in these lists, and indeed across all the nominations lodged, represent our champions, and those who champion our champions. The names of those established and emerging, in cities and in regional areas, show that we have much to celebrate in the Australian art music sector’, said the AMC’s CEO John Davis. The 2016 Art Music Awards will be presented at the Plaza Ballroom in Melbourne on Tuesday 16 August, hosted by Jonathan Biggins and with a live performance program curated by Gabriella Smart. 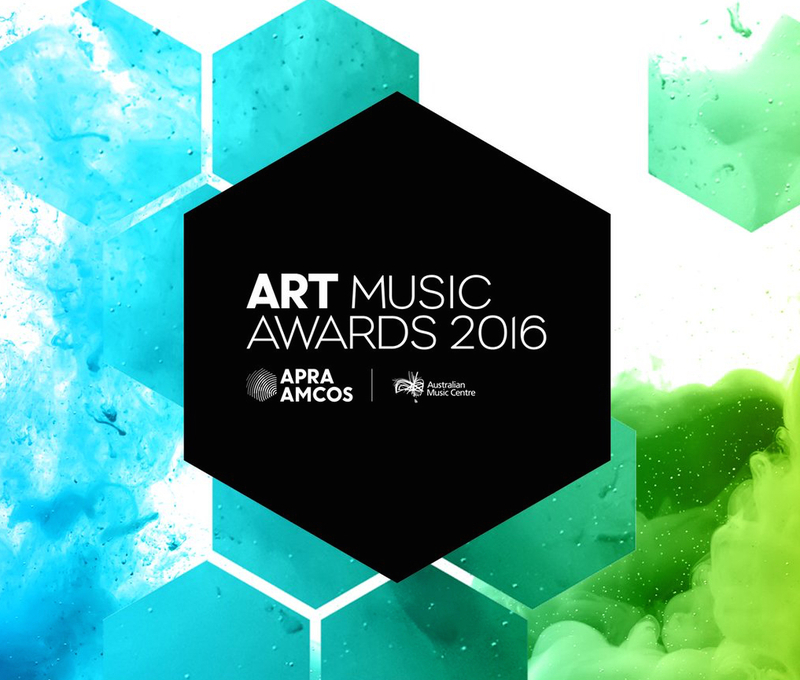 APRA AMCOS and the AMC would like to extend congratulations to all of the finalists for the 2016 Art Music Awards – the only event of its kind in Australia to recognise the works that are brought to life by dedicated musicians, individuals, educators and arts organisations all over the country. The Science Division, Department of Science, Information Technology and Innovation (DSITI) is one of multiple science agencies co-located in the Ecosciences Precinct in Brisbane, Queensland. This world class facility houses research and associated staff from the Queensland Government, CSIRO and University of Queensland. 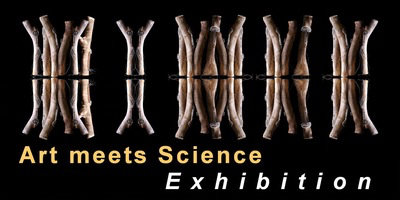 The DSITI 2016 Art meets Science exhibition opens on August 8th and features works by artists working at the intersection of art and science. The show features works by Alinta Krauth, Kay Lawrence, Jeanette Stok and Donna Davis, who have participated in the 2016 Artist in Residence Science Program. These artist have worked for the past three months with scientists from the Department of Science, Information Technology and Innovation at the Ecosciences Precinct and the Queensland Herbarium. These artists will be joined by 12 other Queensland artists with recent artworks that demonstrate an art-science connection. The exhibition features a preview of the River Listening augmented reality installation with hydrophone recordings and soundscapes planted through the Ecosciences Precinct. River Listening is an augmented reality sound installation reimagining the world beneath the Brisbane River in sound. The installation can be experienced by walking throughout the Ecosciences Precinct with a mobile device and listening to geo-located sounds. These geo-located soundscapes are layered with hydrophone (underwater) recordings and creative responses to the Brisbane River. This installation is part of our interdisciplinary project exploring the art and science of listening to rivers across the world. River Listening explores rivers as the lifeblood of communities and underscores the value of listening in our current state of ecological uncertainty. To experience River Listening download the free app Recho and your phone will act as a compass guiding you on a sonic exploration. Follow the hashtag #RiverListening on twitter for live updates on site and tweet @LeahBarclay if you have any questions. Monitoring aquatic species in underwater environments – rivers, lakes and oceans – has proven even more difficult than terrestrial surveys of endangered taxa. Traditional methods of aquatic survey techniques bear a) risks to fish health and habitat integrity, b) introduce bias, because it might cause fright responses in key aquatic species and c) standard surveying only produces a snapshot from the time of surveying – which in many cases does not happen more than once a year and d) it can be very expensive, particularly in areas with remote access. 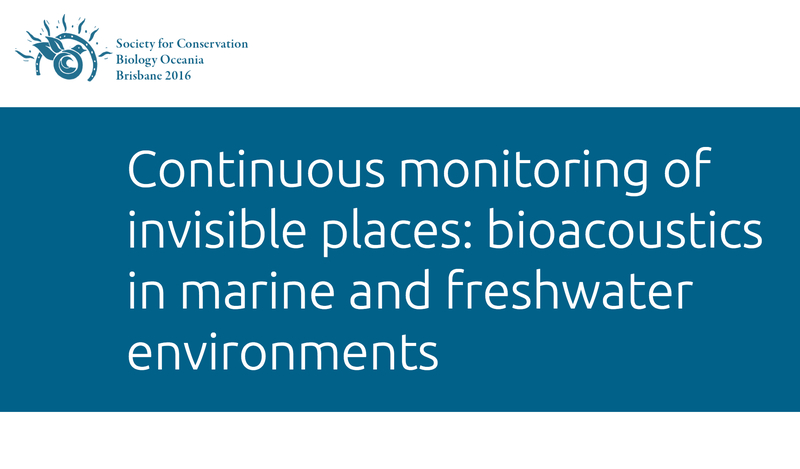 Non-invasive passive bioacoustic monitoring can address all four problems. This special session will explore novel techniques in aquatic bioacoustics that can aid conservation managers. Topics will range from holistic ecosystem monitoring (Linke, Gifford) to descriptions of detailed algorithms with which soniferous aquatic taxa can be detected. 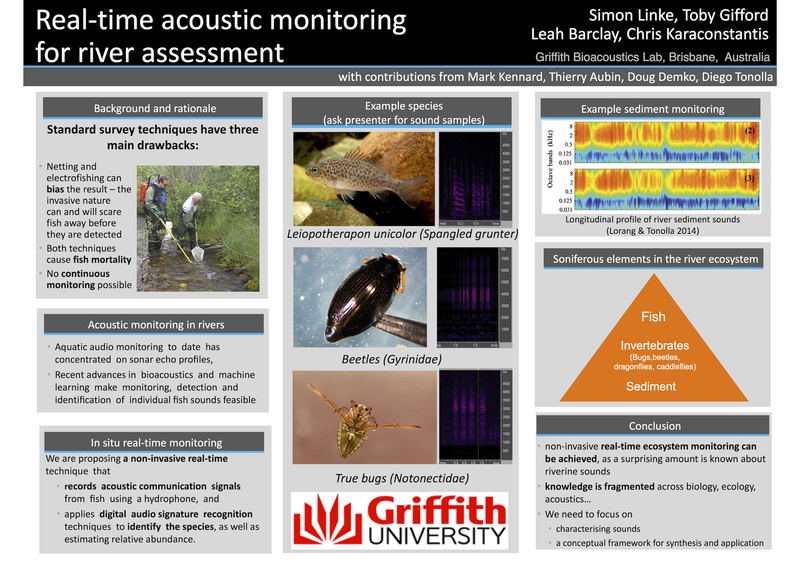 The symposium will also include talks on the challenges of using acoustical data for monitoring populations and on protocols for monitoring and mitigating impacts of noise. The final talk by Dr Leah Barclay will cover bioacoustics as a tool for engaging with the public. We hope that this first session in freshwater and marine bioacoustics at a continental or worldwide SCB conference will raise awareness and kickstart increased joint efforts by marine and freshwater scientists to establish bioacoustics monitoring as a key survey method. 03:30 M. Montserrat Landero F. Can we generate relevant terrain metrics of the seafloor to model species distribution using a low-cost echo-sounder? Ecoacoustics is an interdisciplinary science that investigates natural and anthropogenic sounds and their relationship with the environment over a wide range of study scales, both spatial and temporal, including populations and communities. Ecoacoustics operates in all types of terrestrial and aquatic (freshwater and marine) ecosystems extending the scope of acoustics and bioacoustics. 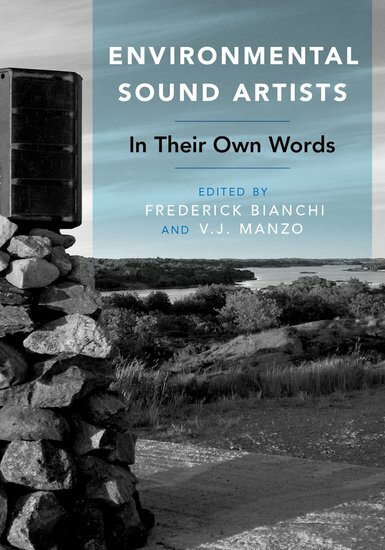 Ecoacoustics recognizes that sounds can be both the subject and tools of ecological research. As the subject, sounds are investigated in order to understand their evolution, functions and properties under environmental pressures. As tools, sounds are used to study and monitor animal diversity, abundance, behaviour, dynamics and distribution, and their relationship with ecosystems and the environment. The XXV International Bioacoustics Congress was held in Murnau, Germany from 7th-12th September 2015, with a packed programme of papers, keynotes, posters and events. 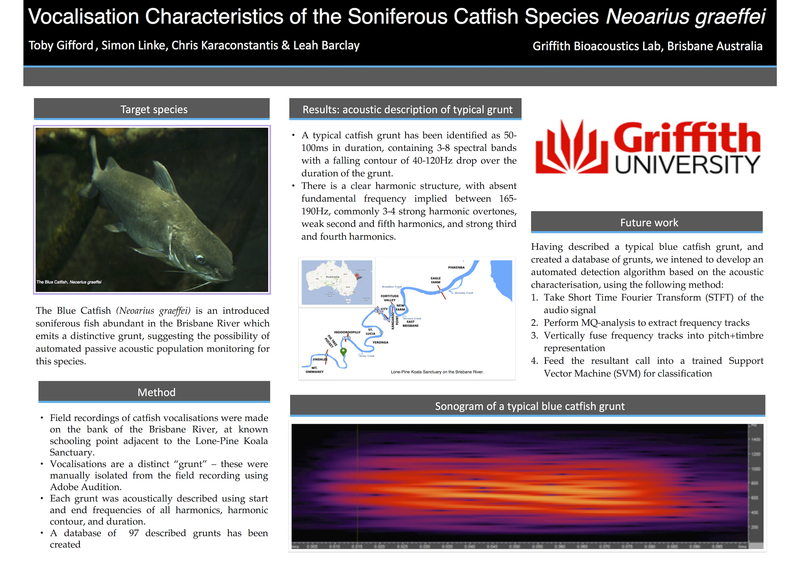 The River Listening team presented two posters on the project, which are also featuring during the River Listening Lab at the 2016 World Science Festival in Brisbane, Australia. 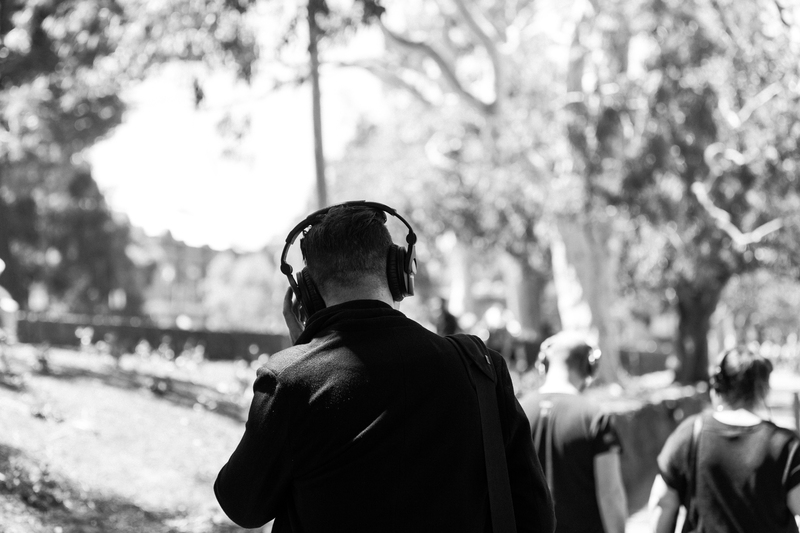 Melbourne’s first River Listening experience explored the Yarra River and launched during Pause Fest 2016. The augmented reality installation can be experienced by walking along the Yarra River with a mobile device and listening to content that is geotagged along the river bank. As you walk along the path, the sounds of the river system are layered with sonic art and river stories for Pause delegates to discover between sessions. 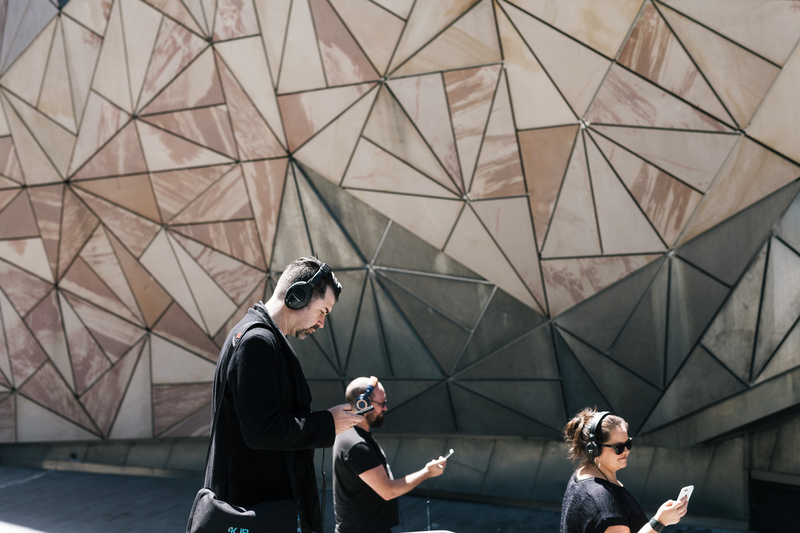 In addition to the Yarra soundscapes, this experience stretched through Federation Square with a sound map connecting river systems across the world.